Things are topsy-turvy in the land of customer satisfaction, your free iCloud space will soon reach its end, and how do you pronounce “OS X.” Trick question: You’re wrong. 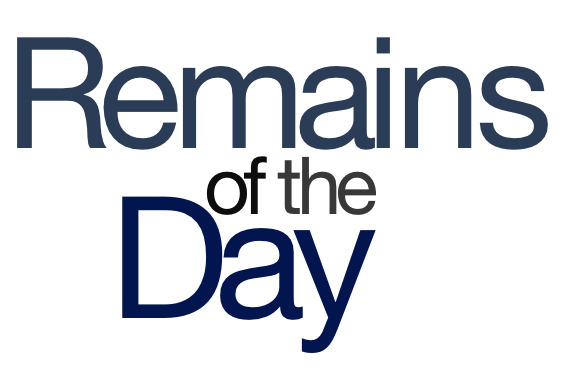 The remainders for Thursday, August 1, 2013 are going on break. We’re through the looking glass here, people. South Korea-based Samsung edged out Apple in the most recent customer satisfaction study from the American Customer Satisfaction Index, pulling an 84 for the Galaxy S III and Galaxy Note II, compared to an 82 for the iPhone 5 and 4S. But, the ACSI notes, in South Korea consumers actually prefer the iPhone 5. Call it a cultural exchange, I guess. If you’re a former MobileMe customer who was taking advantage of Apple’s free 20GB of storage on iCloud, well, your time is almost up. Cupertino is sending out messages reminding those users that the complimentary space will expire at the end of September. In other words, nice cloud storage—it’d be a shame if something happened to it. Dr. Drang is here to tell us how the “X” in “OS X” should be pronounced. Next you’ll be telling me that tic-tac-toe isn’t played with tens and zeroes. Well, that’s the weirdest headline you’ll read all day. And the weirdest video that you’ll see all day. Yep. I’m sticking with weird.